I’ve met a lot of products that claim to give you instant volume, but I’ve never found one that really does. My hair gets super oily and limp in the evenings and late afternoons, especially when I’m tired. I’d say that sometimes it even has a life of its own. 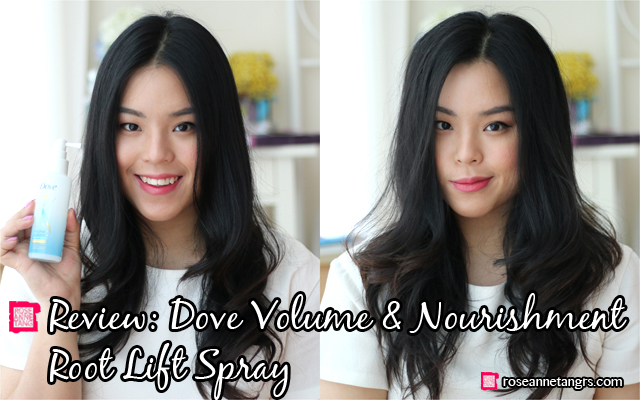 Today I want to share with you the Dove Volume & Nourishment Root Lift Spray – it is THE best volumiser to date and you can even bring it on the go. Dove kindly sent this to me for review purposes and I was happy to try it out. I’m certainly glad I did. Just look at the above before and after picture! Seriously, all I used was the spray and it really did give me INSTANT volume. So much love for this stuff. Let’s take a closer look. 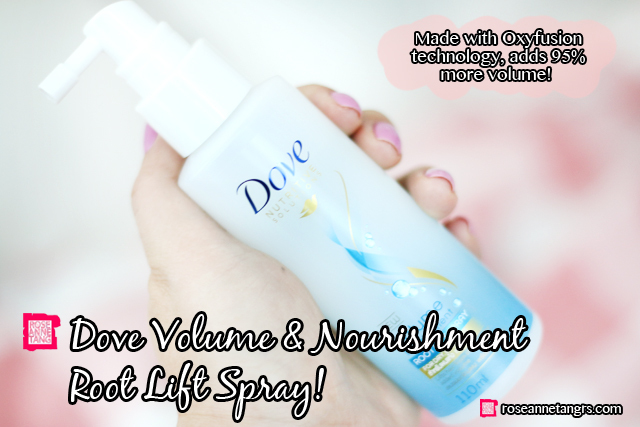 The Dove Volume & Nourishment Root Lift Spray is made with Oxyfusion Technology – its oxygen infused ingredients are supposed to restore hair smoothness while adding up to 95% more volume! The spray targets roots, where hair tends to be weighed down, lifting it and adding body and fullness. 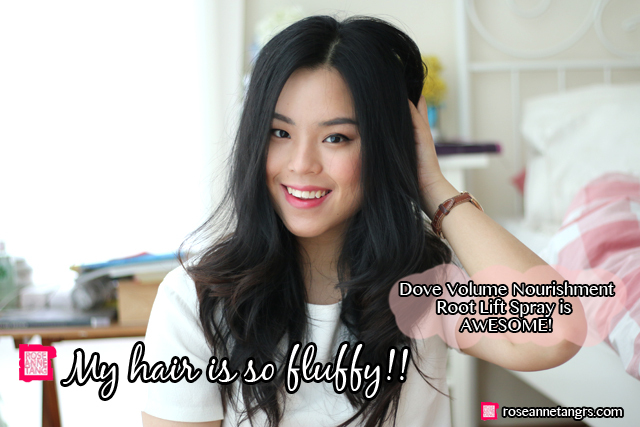 With this range, Dove wants to give your hair volume and nourishment at the same time, which is uncommon for volumising products that usually dry your hair out. I am also very much in love with the shampoo and conditioner of this range. I’ve been happily recommending the combo to my friends too. You can read more about that in this post here. So let’s see how this stuff works. This is the before picture. Usually it might be a little worse towards the evening but as you can see, my sometimes-oily scalp doesn’t really help the situation. To use the spray, you need to target your roots. Lift partings of hair sections up so you can see your root. Angle the bottle downwards facing your roots. Then spray! I also love the smell of these products. They smell so good and clean. I almost feel like this spray doubles up as a hair fragrance too! After spraying, scrunch up at the roots for added volume. 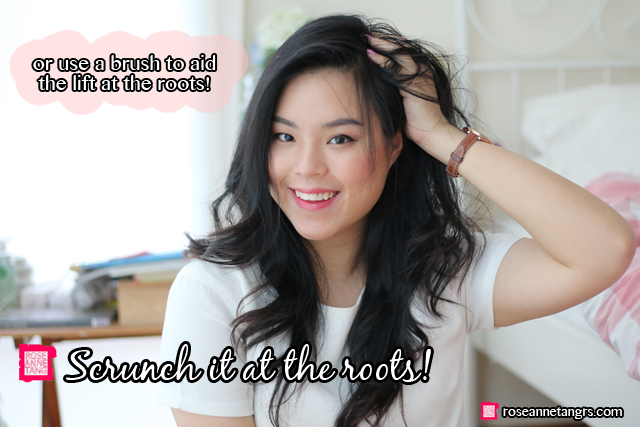 You can also use a brush to lift up the roots! This is going to make your hair super lightweight and fluffy. Repeat these steps all over your roots and hair for amazing volume. Ta-Da! 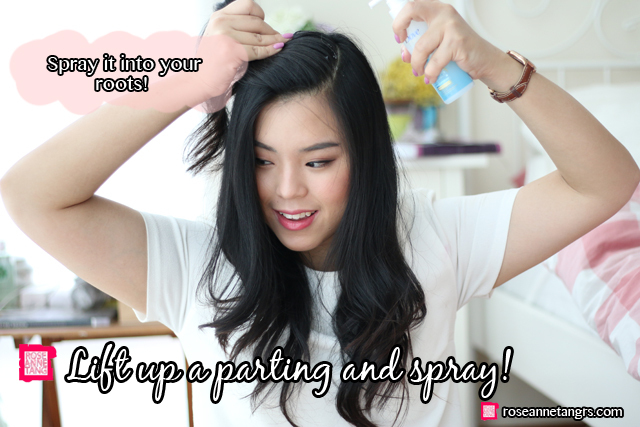 I am so amazed by how this spray is so effective and effortless. My hair looks so much more volumised and fluffy! 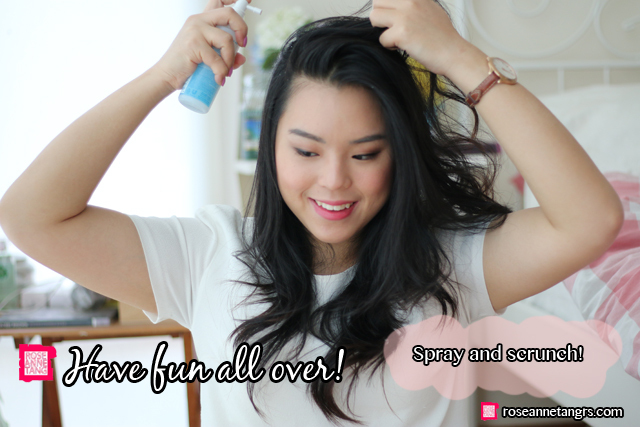 No styling or heat needed – this is seriously all the spray’s work. I love love love it! I need this so badly and I’m so happy I finally have a solution to my tired and limp hair. No joke and that took only like a few seconds to do. Just look at this! It’s amazing!! I can’t even. My hair got more lightweight, fluffy and a ton more volumised as you can see. 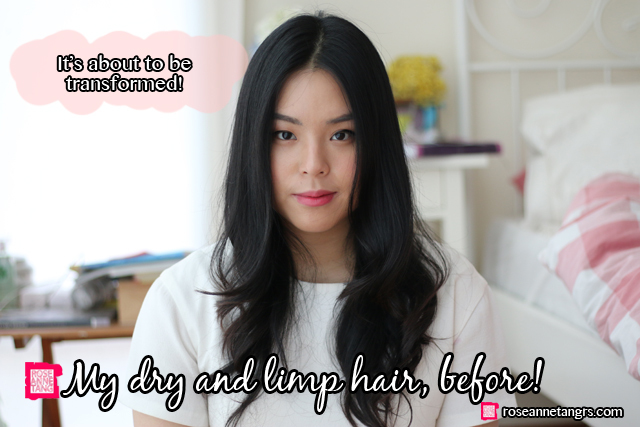 Not to mention, it feels super moisturised too – it doesn’t dry the hair at all! It was so instant and easy to use. You need this in your bag on the go, pronto. It’s a great hair product, hands down. Thanks Dove for sponsoring this post and helping me discover how amazing this stuff is. Review: Lancôme Blanc Miracle Foundation!